The students helped those facing difficult times by preparing kits of feminine hygiene products, toothbrushes, toothpaste and hairbrushes. They also made sandwiches, which they served at the St. Mary’s Soup Kitchen on March 20. Teachers Tara Brady, Anna Pace and Jay Spitz helped make the day possible with the generous donations of the Long Beach High School staff. IB Diploma candidates are required to complete purposeful projects known as Creative, Activity and Service initiatives. According to the IB, studies show that these experiences can develop students’ skills for civic engagement as well as valuable project management skills that will serve them well as citizens and in their careers. 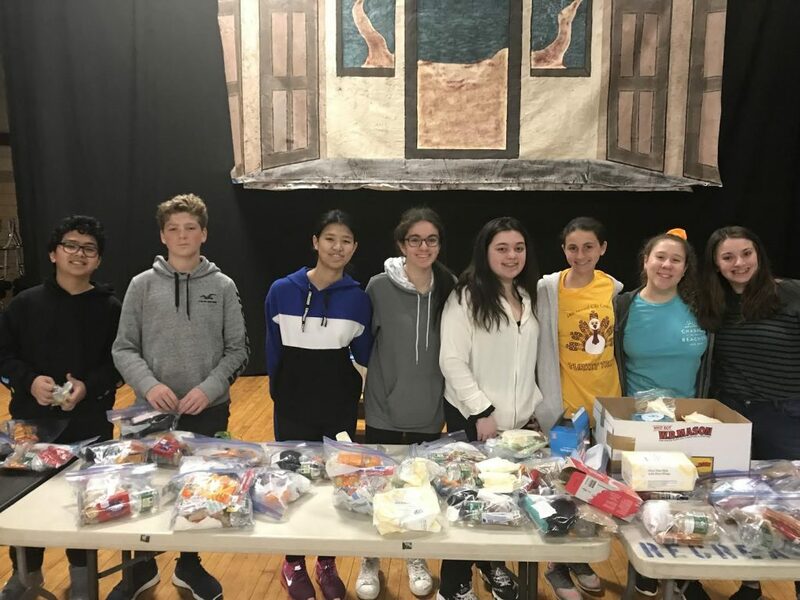 Photo Caption: Members of ninth-grade Team B at Long Beach High School prepared kits and served food at St. Mary’s Soup Kitchen as a continuation some of the Middle Years Program Community Service efforts that they developed last year.